Find talent and let talent find you. Zoho Recruit lets you reach the most talented candidates and stay updated on all the ways they apply for jobs. Enhance visibility for all your job openings by creating a custom careers page and extend your reach using popular job boards, direct sourcing, and social media. Elevate your candidate experience by creating a careers page that lists every job opening with complete descriptions and accepts applications for multiple job openings at once. Create a careers page that reflects your brand. Showcase all job openings on your website. Use Candidate Log in so candidates can apply for mutiple job openings and update their profiles whenever needed. Zoho Recruit integrates with several popular job boards, making it easier for recruiters to attract the best talent without switching between multiple browser tabs. Boost visibility for your job openings. 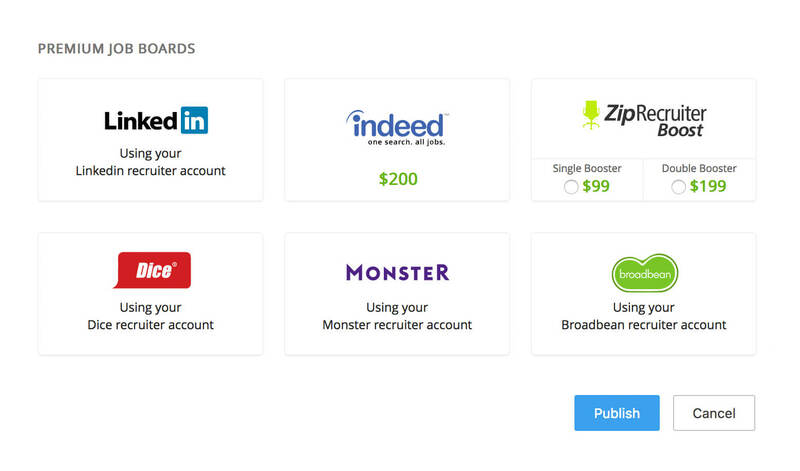 Manage all of your posted job openings from one location. 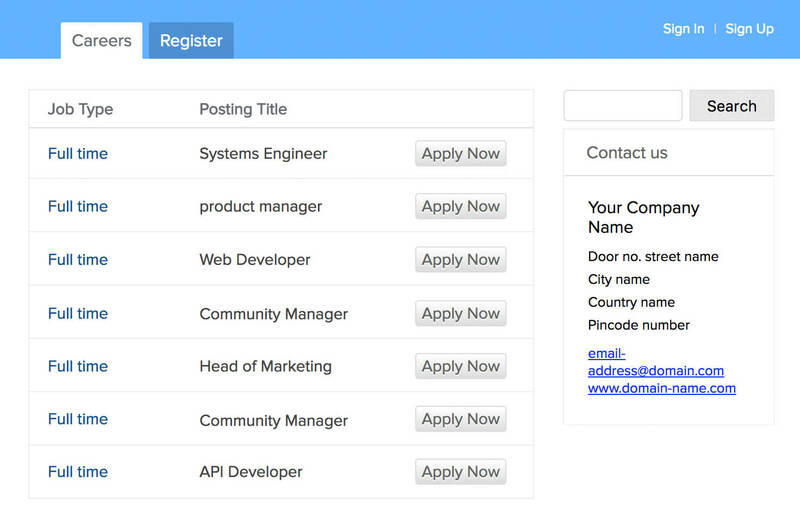 Customize the list of job boards with the toggle of a button. Post jobs to social sites. Utilize your company's official Twitter and Facebook pages to their full potential. 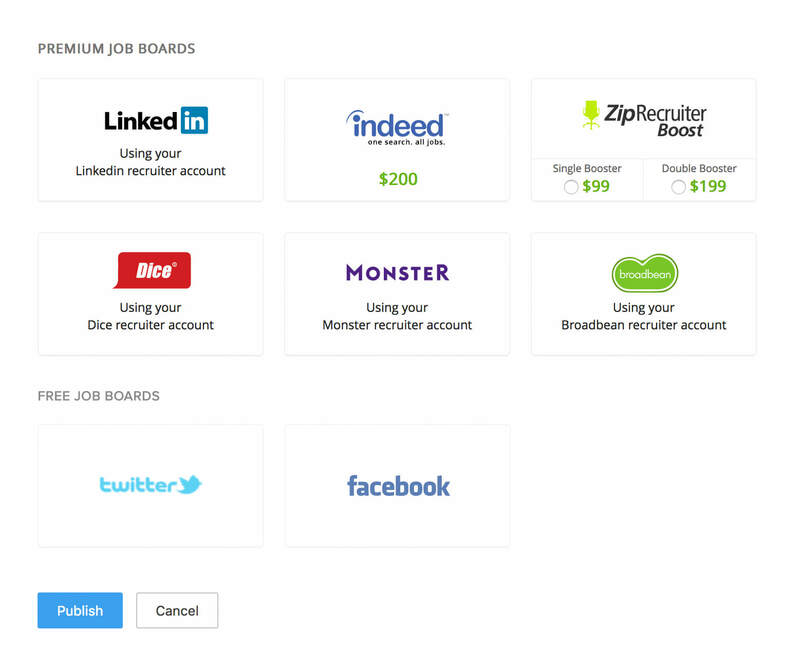 Zoho Recruit lets recruiters reach candidates on their preferred social media networks. Build and engage your professional network with LinkedIn's 400+ million users. Connect with candidates and also send them INMail requests. Connect with candidates and client contacts via your official social media profiles on Zoho Recruit. Post job openings on your companys' Facebook page or Twitter account using the Social posting. Add the people who have interacted with your pages as candidates right from Social Tab inside Zoho Recruit. 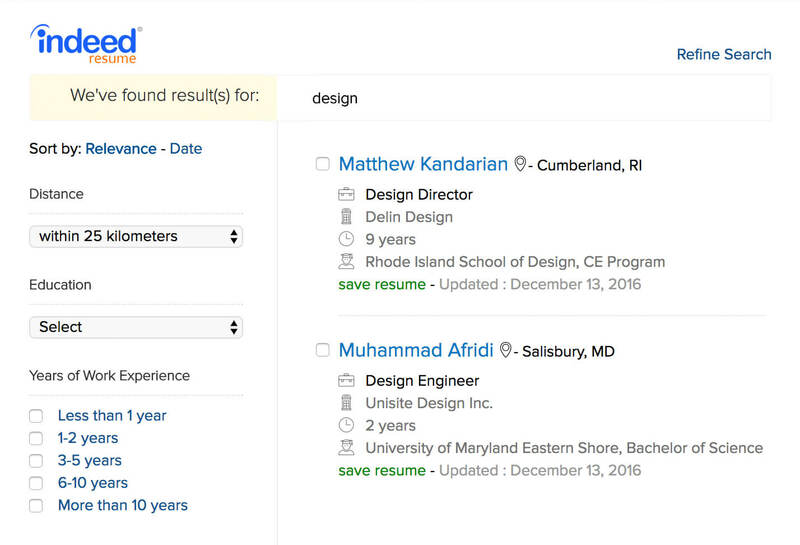 With Zoho Recruit's Indeed Resume Search feature, recruiters can directly search for qualified candidates in Indeed's database. Quickly and easily access resumes.